This cause is rare, and exact reasons are unkown. The following fix will resolve the issue. Within the error message, it will mention a Config File. You will want to look at this path, and browse to and locate this file. This is important in case your edits are unsuccessful or it does not fix the issue, you can easily switch back. You will need to replace the defaultDocument tag contents like below. 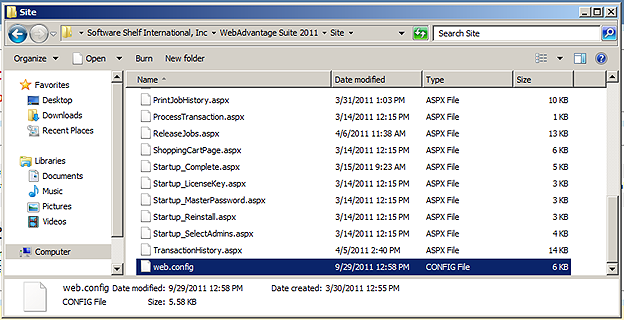 Once this change is made, try saving the file and trying to load WebAdvantage again. If this fails, please contactWorldWideSupport@printmanager.com with the following items.